Taxicode - Taxi, Minibus, and Coach Hire Booking App! Taxicode is the brilliantly fast, easy, reliable and FREE way to book a taxi from the convenience of your mobile device! And unlike other apps that limit their coverage only to London, Taxicode operates in over 600 towns and covers 95% of the UK. Book any vehicle, from a standard saloon/sedan all the way up to a Luxury Mercedes S-Class. Need a group booking? No problem. you can book a minibus with us. and the number of passengers. 2. Review multiple real-time quotes from Taxi, Minicab, Minibus and Coach Companies, and see how other users on a 5-star scale have rated them. 3. Choose your desired vehicle class: Standard, Business, or Luxury. 4. Choose your desired method of payment: saved credit card, new credit card, or cash to the driver. 5. Receive an email and SMS confirmation directly to your inbox. 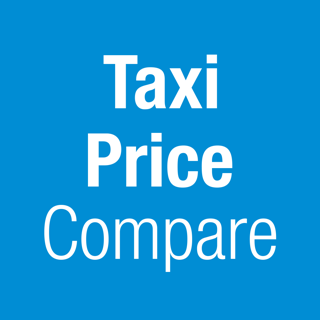 competitive, pre-established fixed price with a trusted Taxicode-approved minicab. Our extensive network of over 600 taxi and private hire companies have been carefully vetted – and are constantly monitored – to ensure that they continue to meet the highest industry standards for reliability, competitive pricing, safety and customer service. So you can be assured of getting the best service and price – without compromise! I had a really bad experience last night after arranging a booking in Taxicode from Gatwick Airport in London. My family was arriving in the country for the first time on a late flight at Gatwick from JFK last night and our experience with Airport 24x7, and by extension the app, was terrible. First of all the driver arrived 30 minutes late for a scheduled 11:35pm booking. When calling the telephone number provided, the man who answered the phone told me that the driver was only 5 minutes away. Clearly this was false. When the driver finally contacted me at 11:46 PM he then informed me that he couldn’t meet me at the taxi stand but I should go to some drop off point in the airport. Upon arrival after midnight, the driver then informs me that he doesn’t have room for 3 passengers and our luggage and that he can’t refund my payment. So I was forced to send my family along in the car while I had to fend for myself back to London from Gatwick. The app did not allow me to see what I had originally requested to dispute this driver and the heavily accented manager that the driver called up after arriving 30 minutes late, nor did I have any adequate recourse or assistance when the effective gypsy cab driver shows up. I might have saved some money with the service but I will never use it again. I went through the website for the booking but the service is great, a nice car, good driver, good price. Would do it again. I put full address details and travel requirements into the website and they were removed when sent to the taxi company, so I had to provide them again. I could register with the app as it would not accept a US mobile phone number. App is not much use.